If you're planning a road trip to catch some Major League Baseball this summer, don't forget to pack your clubs. Some of the country's finest golf destinations are a short drive from MLB's most recognized ballparks. The Empire State is one of the most golf-rich states in the U.S., as it is home to many of the most storied venues in the country. And you won't find a more diehard lot of duffers in the contiguous 48, a cohort willing to brave the elements in the name of the ancient game. Nowhere is this more evident than at Pound Ridge Golf Club, the only Pete Dye designed golf course in the state. Until 2008, Dye didn't have a single layout in New York. That changed when Ken Wang, a M.I.T. graduate and brother of fashion designer Vera, commissioned Dye to create Pound Ridge Golf Club an hour north of Manhattan in Westchester County. Wang specifically sought out Dye, comparing his courses to "standing in the middle of a giant math problem conjured up by a master of geometry." Dye didn't disappoint, transforming 172 acres of craggy cliffs, streams and wooded hills into one of the most visually stunning golf experiences in the U.S. 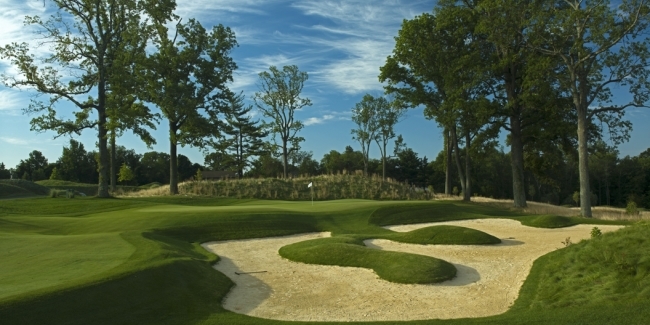 Playing 7,165 yards from the back tees, with a par of 72 and a slope of 146, Pound Ridge is a true "player's course." Nestled in the Kittatinny Mountains of northern New Jersey - just one hour from the bright lights of Broadway - 4,000 acre Crystal Springs Resort is the best-kept secret in golf features seven golf courses, three hotels, two world-class spas and numerous other amenities and activities. There are championship and resort courses (Ballyowen, Black Bear, Crystal Springs and Wild Turkey), a 27-hole complex with a retro theme (Great Gorge), a nine-hole layout for families and juniors (Minerals), and another nine-hole track (Cascades) emanating from the lavish Grand Cascades Lodge. The resort is a nationally-recognized leader in golf innovation and growing-the-game initiatives. They include family golf on the nine-hole Cascades and Minerals Courses featuring four-person carts and two holes cut on each green (one eight inches in diameter); a "Fast Track" program that guarantees golfers finish in less than four hours; a pay-per-hole playing option; "Swing N Sip" wine-tasting events and more. Old American, about 40 miles north of Rangers Ballpark in Arlington, is the work of acclaimed designer Tripp Davis and PGA TOUR star and hometown hero Justin Leonard. 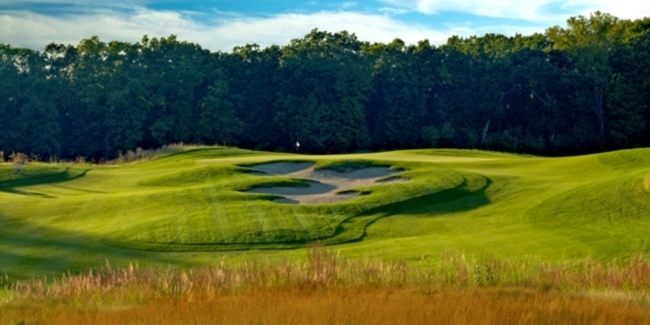 Inspired by the 'Golden Age' of golf course architecture (1911 - 1937), Old American's natural contours, hazard styles, native grasses and green shapes were influenced by such masterpieces as Shinnecock Hills, National Golf Links, Prairie Dunes and Crystal Downs. 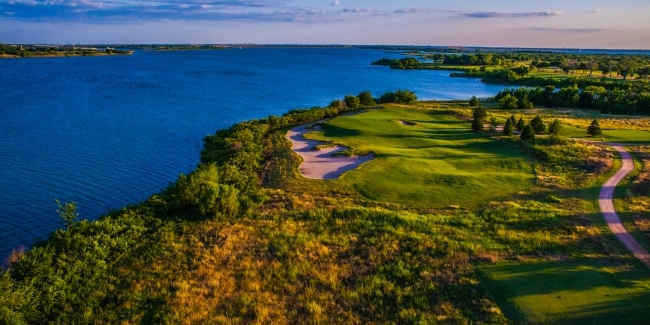 True to Texas' "bigger is better" bravado, Bear Creek Golf Club boasts 36 holes of North Texas' finest golf. Two distinct layouts - the East and West Courses - pack a one-two punch that has earned it a place among Golf Digest's "Top 50 Resort Courses in America" and The Wall Street Journal's "10 Great Places to Golf." Bear Creek has played host to PGA TOUR qualifiers and the Texas State Open. While the golf may be bigger, the prices are not. Bear Creek is located a pitching wedge away from TPC Four Seasons Las Colinas, making accommodations a breeze. Few destinations have a golf pedigree as storied as PGA National Resort & Spa, located about 90 minutes up I-75 from Marlins Park. The vaunted resume of its Champion Course includes hosting the 1983 Ryder Cup, 1987 PGA Championship, and nearly two decades of the Senior PGA Championship. Currently, it hosts The Honda Classic, one of the PGA TOUR's premier events and the first stop on its "Florida Swing." Additionally, PGA National boasts four other superb layouts. The Palmer is an Arnold Palmer signature course with a subtle nod to the game's Scottish roots. The Squire is a tough test of accuracy and precision, and dubbed "the thinking man's course." The Estates, designed by Karl Litten, is a quick drive from the resort grounds and is flat-out excellent. A recent $100 million renovation included a complete remodel of "The Haig" - the resort's original 18-hole layout - by Tom Fazio II. Other enhancements include floor-to-ceiling makeovers of its 379 guest rooms and total overhaul of the 19th hole bar and grill now called "Bar 91." Situated in the rolling foothills of the Central Sierra region less than two hours from the East Bay, Saddle Creek Resort is located in the heart of the Copper Valley in Copperopolis. Golfers will discover stunning vistas of the towering Sierra Nevada Mountains to the east, while an ethereal collection of shimmering lakes, native trees, indigenous grasses and 100 bunkers provides a challenging, thought-provoking experience from tee to green. To create an atmosphere of tranquility and isolation, golf course architect Carter Morrish devised a routing in which no two holes run parallel to each other. Saddle Creek jumped six spots in Golfweek's 2013 "Best You Can Play" rankings and now sits in the top 10 with iconic layouts Golden State layouts like Pebble Beach, Spyglass Hill, Pasatiempo and Torrey Pines' South Course. Opened in September 2011 and named to Golf Digest and Golfweek "best of" lists, Salish Cliffs is a little more than one hour from Safeco Field. Privacy abounds at the Gene Bates design, as 16 of 18 holes are set among lush forestry. Channeling an Old World vibe, the ninth and 18th holes share an expansive, 15,000 sq. ft. double green. A sparkling lake and wetland preserve separate their respective fairways. Salish Cliff is an amenity of Little Creek Casino Resort owned and operated by the Squaxin Island Tribe. In 2012, the resort added to its long list of amenities by unveiling a new spa (Seven Inlets Spa), full-service RV Park, and the Skookum Spirit Cigar and Wine Lounge.